Blue Grass Metals can produce an infinite variety of shapes, sizes and configurations for a wide variety of applications. 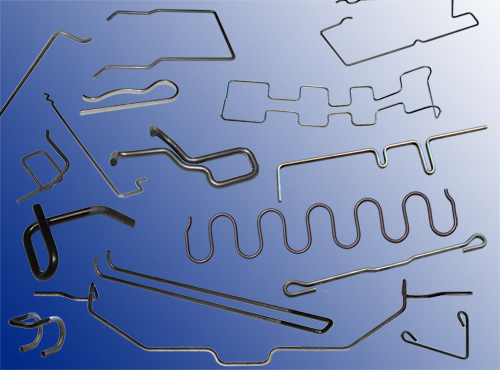 With wire forming being our core competency, we have been producing wire forms to multiple industries since 1990. Bending, threading, punching, piercing, swaging, and marking are all various processes we can provide. Our manufacturing department uses the latest CNC and mechanical technology to deliver the BEST FIT and BEST VALUE for our customers. Blue Grass Metals offers a diverse approach to wire form manufacturing. Blue Grass Metals takes wire directly from the coil of material and fabricates it accurately into components or finished goods at high speeds and low production costs.